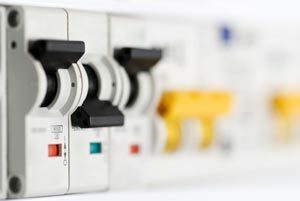 Every Electrical Installation is designed to a high standard, however, depending upon the environment, maintenance and use, every electrical installation degrades with time. The purpose of periodic inspection and testing is to determine whether the installation is safe for continued use. All electrical installation work in the UK is carried out to BS 7671 Requirements for Electrical Installations and our NICEIC Periodic Inspection Reports comply with these regulations. A Periodic Inspection is a careful scrutiny of the electrical installation to ensure the continued safety of persons and livestock against electric shock and burns, and protection against damage to property by fire and heat arising from installation defects. Engineers also ensure the installation is not damaged or deteriorated and that it meets with the requirements of current Regulations. Our engineers are City and Guilds Qualified Electricians, confident and competent in inspection and testing of all electrical installations, from Caravan Sites to Industrial Premises. Further specialist advice can be found under Domestic, Commercial, Industrial and Special Locations. NICEIC Periodic Inspection Reports are an industry standard report accepted by local authorities for licensing purposes, insurance and mortgage companies and for health and safety requirements. An Electrical Installation Inspection may also be known as Electrical Inspection & Testing, a Fixed Wiring Test or a Periodic Inspection Report. Are there any legal requirements for Electrical Inspections? BS7671:2008 Requirements for Electrical Installations (18th Edition) require that "every new installation and alteration or extension to an existing installation be inspected and tested before being put into service. It is also recommended that all fixed wiring installations be tested for safety periodically". It can be clearly seen from the above that regular maintenance is required for the safe operation of any item of electrical equipment or installation. Regular inspection and testing highlights the need for any maintenance or repairs to ensure the continued safe operation of the installation. Our engineers and management can provide advice on your installation, along with a Quotation to carry out your electrical inspection and any remedial works where necessary.